West Coast Life Insurance Company of Alabama is the chosen subject of this West Coast health insurance review. Though there are a small handful of independent agents using the West Coast name, our choice is a genuine underwriter with a reputation for taking care of customers. They’ve been in business nearly 100 years, so they must be doing something right. We want to make your search for health insurance quotes as easy as possible, that’s why we’ve included our free search tool below that requires you only enter your zip code. 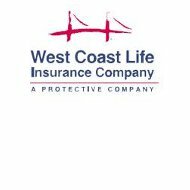 West Coast Life Insurance Company was founded in San Francisco in 1906. If that year sounds familiar to you, it might be because the great San Francisco earthquake occurred just days after West Coast opened for business. The company’s commitment to the city was established early on in that it was the first insurance company to offer the city a rebuilding loan. Through their commitment, San Francisco property owners were able to regain much of what was lost in the earthquake. West Coast Life does not offer any health insurance policies to their customers. They deal strictly in the various kinds of life insurance listed above. Therefore, we suggest that when you finish this review you continue looking at others until you find a company providing health insurance in your area. In the meantime, we will review West Coast Life in case you ever decide to use them for your life insurance needs. Just as an FYI, West Coast does offer an accelerated death benefit rider on some of its life insurance policies. This rider allows policyholders to get a portion of their death benefits before they pass, under certain circumstances. Most often, these funds will be used to provide extended medical care for policyholders suffering from chronic illnesses and end-of-life decisions. Specific details regarding how this rider works should be available from your local West Coast agent. West Coast Life is an insurance company that’s more than happy to use local, independent agents throughout the nation. These agents represent not only West Coast, but also other insurance companies providing similar life insurance products. Utilizing local agents allows West Coast to reach customers with a more personal relationship, maintain better management of its products in relation to competitors, and offer the best customer service at the local level. Although West Coast doesn’t provide an agent locator tool on its website, it does provide a link where agents can login to gain access to the company’s agent tools. From this portal, independent agents can manage all of their accounts as well as their customer’s policies. West Coast Life attributes most of its success to superior customer service. As exemplified by their commitment to San Francisco in 1906, the company always strives to provide the best experience, the quickest and most efficient claims of service, and a genuine interest in the welfare of clients. They provide 24/7 customer service via a toll-free number or their online portal. Customers who wish to use the online portal need only establish an account with a username and password. The online portal is secure at all times for the protection of policyholders. To gain access to the portal policyholders need only visit the company’s corporate website, click on the “policyowners” link, and then follow the instructions from there. Setting up an online account should not take more than a few minutes in most circumstances. West Coast Life maintains its company headquarters in Birmingham, Alabama. They do have two other processing facilities located in Ohio and Illinois. The two processing companies are mainly for use by agents and a handful of customers with specific needs. If you care to contact the company at their Alabama headquarters, you may use the information listed below. If you need to contact one of the two processing centers, you are advised to check for that information on the corporate website. Don’t ignore your need for health care coverage; start checking for affordable health insurance rates online by entering your zip code below!